Jobs aren't easy to come by but for one pizza restaurant worker named Alex, the time was just right to leave his and he did so in style. 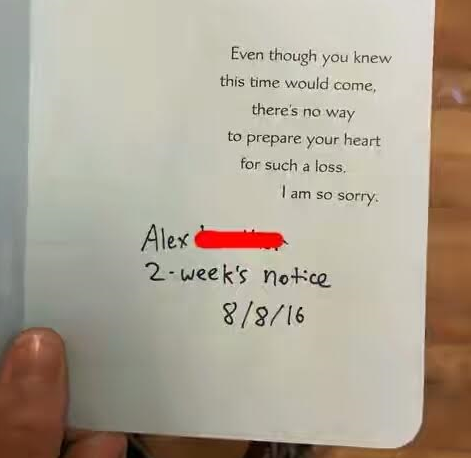 He sent his boss a sympathy card. Alex, or Reddit user springmint5 shared an image of the card with the caption: "I just quit my job the best way I know how."